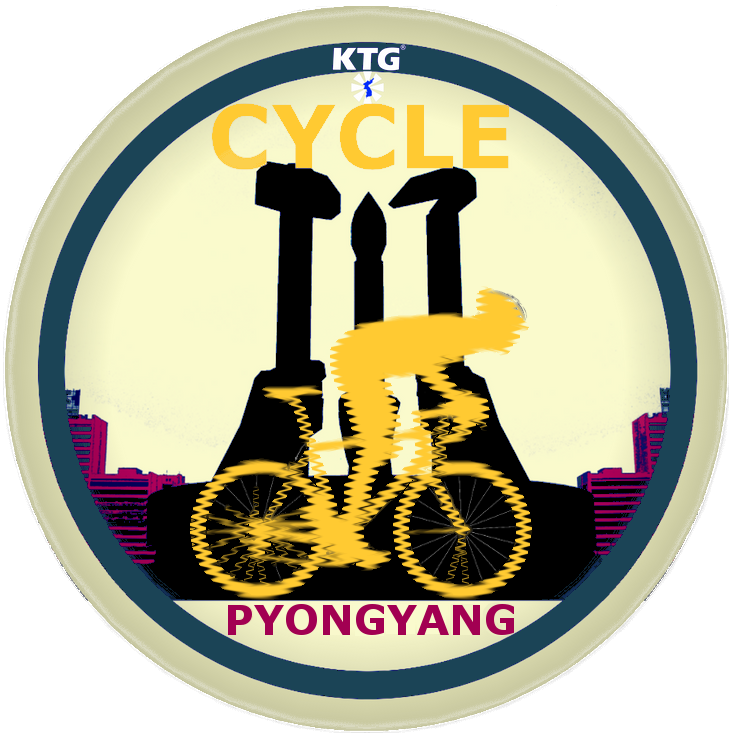 North Korea November Tour I - This tour will allow you to see all highlights of Pyongyang and Kaesong (including the DMZ). Despite this being one of the most economic departures of the year, you will still stay in the one of the best hotels in Pyongyang; the Koryo Hotel. 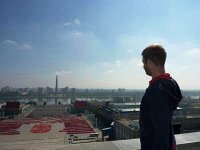 Being in the DPRK is an unforgettable and unique experience, but being only one of a few Westerners in the entire country gives the trip a whole new dimension. 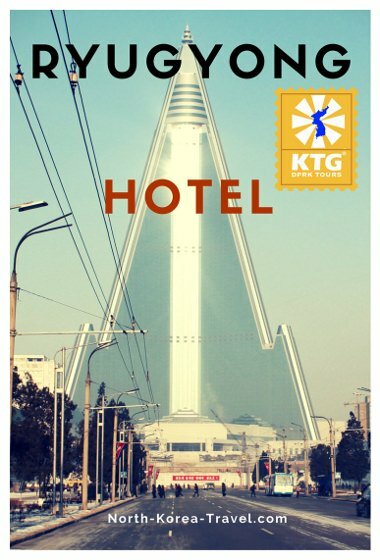 We will stay at one of the best hotels Pyongyang has to offer; The Koryo Hotel. Unlike other hotels such as the Sosan Hotel, Ryanggang, Haebansan, etc, this Deluxe Hotel is not a budget hotel and offers some of the best hotel facilities in Pyongyang, 24/7 hotwater, etc, something very important in the cold Korean winter. Arch of Triumph - built to mark President Kim Il Sung’s return to Korea from abroad. The impressive structure is located next to the Kim Il Sung Stadium and to a gigantic mural depicting his speech made upon returning to Korea. Drive by the Chollima Statue – the winged horse represents the DPRK’s policy of rapid reconstruction after the war. While other countries would take one step forward, the DPRK’s goal was to advance 10 steps. Kumsusan Palace of the Sun - mausoleum of the Leaders Kim Il Sung and Kim Jong Il (where they lie in state). 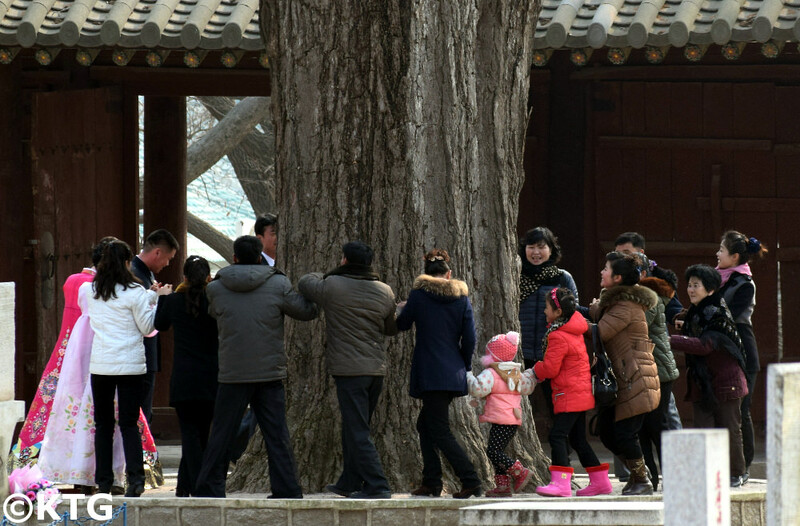 Please note that this is one of the most sacred places in the DPRK and that no informal attire should be worn when visiting. You will be fully briefed before your trip. Revolutionary Martyrs' Cemetery - located in the outskirts of the capital of the DPRK on a hill, it offers great views of the skyline of Pyongyang. This cemetery is dedicated to National Heroes. It is common to see school children visiting. Children in bright green military uniforms are children of military personnel who have perished or are ill and who are taken care of by the state. 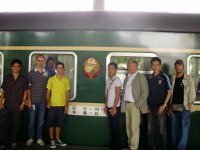 Pyongyang Metro - Pyongyang Metro - take an extended ride in the deepest metro in the world with locals. 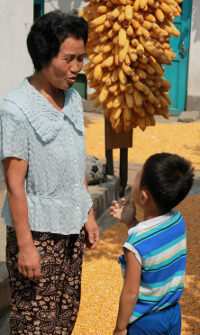 Chance to experience one of the busiest aspects of life in Pyongyang. Juche Tower - chance to go up 150 meters and have a panoramic view of Pyongyang (the torch adds another 20 metres to the tower). Workers' Party Foundation Monuments - monument to the Foundation of the Workers' Party of Korea - it consists of a hammer, sickle and brush, all rising 50 metres into the sky. Kim Il Sung Square - landmark of Pyongyang, located in the heart of the capital, this place is well known around the world as it is where military parades and mass rallies are held. Foreign book and stamp shop - a wide range of books, stamps and DVDs are available. Please note that you will have multiple chances to purchase souvenirs in your trip such as for example at the Koryo Hotel where you will be staying. 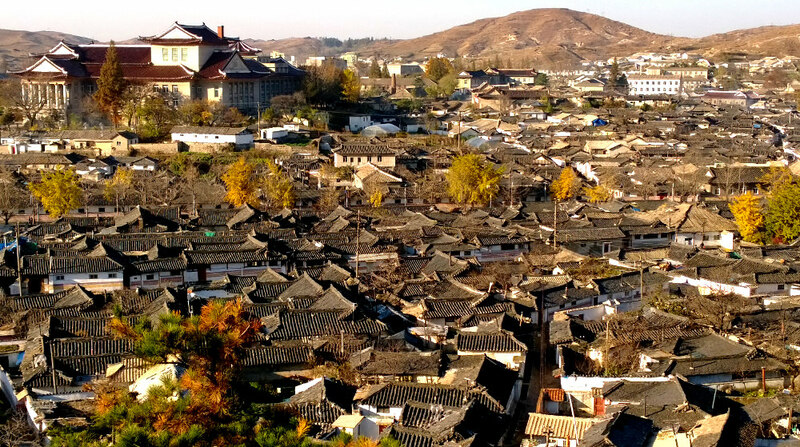 Depart to Kaesong City - we head south towards the border between North and South Korea. The trip is 2.5 hour long and we will have a break by the highway where you can take pictures. If you go up the building you can take pictures of the empty Re-unification Highway. Please note that there are several military check-points when going and coming back from Kaesong. 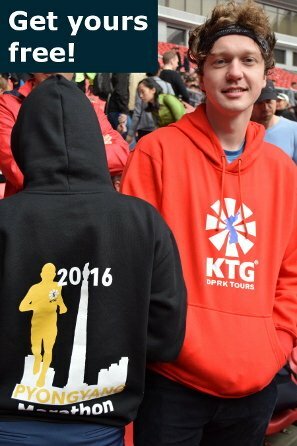 Our guides will tell us when we cannot take pictures. After the break it will start getting dark and driving on an empty pitch black highway towards one of the most symbolic and long lasting points of the Cold War in the world while the guides talk to us about life in the DPRK is definitely an unforgettable experience. They will explain to us too the DPRK's points for a re-unified Korea. There is a cozy small bar by the dining room where we usually gather for drinks and to chat after dinner. Our Korean guides join in too, which is great to get to know them and their personal views better. As you exit the restaurant after dinner you can see the bronze lit-up statue of Kim Il Sung at a distance overlooking the whole city of Kaesong, indeed an impacting view given the darkness that dominates the general scenery. Also worth mentioning is the stark contrast of dark skies full of stars (given a clear night of course) and the purple / orange skies that can be seen further south, presumably from Seoul which is only around 70 km away. Drive to Mt. Janam where the giant bronze statues of President Kim Il Sung and General . We will be able to see the local pavilions and the old part of town which was not destroyed in the Korean War. 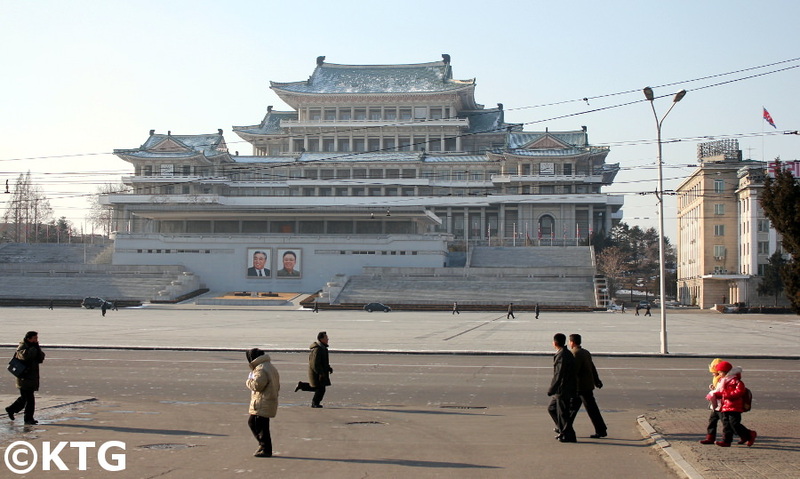 Quite a rare view in the DPRK, where most buildings have a communist style architecture! Drive to the Koryo Museum (UNESCO World Heritage Site) - the first university on the Korean Peninsula. Drive to the Tombs of King Kongmin and his Mongolian wife - the twin tombs are located in a quiet surrounding. As we drive there we will be able to see ancient tombs of generals too, all in their original states. DMZ (Panmunjom, 38th Parallel) - we will be escorted by a WPA soldier who will hop on our bus as we are taken to the demarcation line. This is a great chance to interact with a North Korean soldier as they tend to be curious about what foreigners think about the Korean War and about the situation on the Korean peninsula. 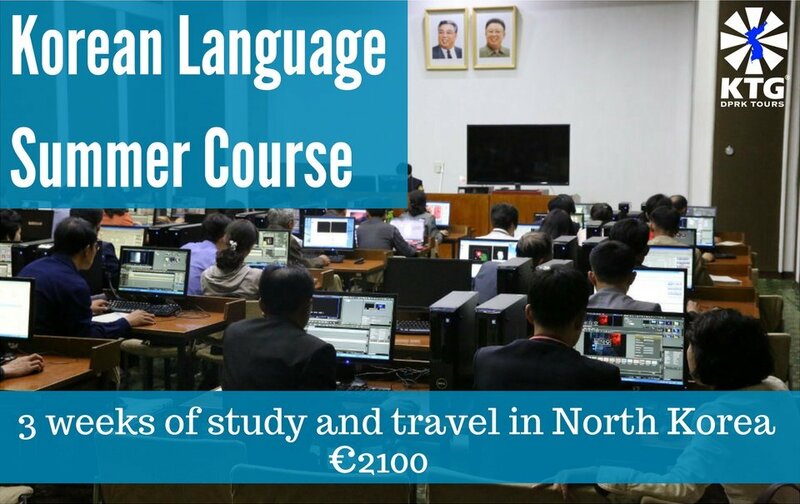 Chance to enter the famous blue rooms where negotiations between North & South Korea take place. Please note that these have been closed to travellers when negotiations between the North and South Korea are frozen. When they resume though we will be able to enter. If not, we will still walk up close to them and face South Korean soldiers on the other side of the 38th Parallel. We will also be shown by the North Korean soldiers where the Korean War armistice was signed and be able to sit on the original chairs used when the armistice talks where held. Lunch: Tongil Restaurant, Kaesong - the Re-unification restaurant serves each person up to 12 small dishes in covered up golden plated bowls. You can also try some soju (Korean liquor) if you like! Drive back to Pyongyang - as we drive back we will be able to see the train station built to link North Korea and South Korea but which is not in use. The internationally known Kaesong Industrial Complex will also be seen at a distance. Stop by the Re-unification monuments just after having entered the capital. 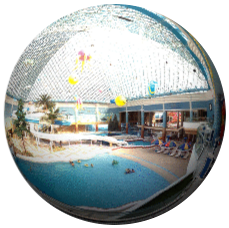 Great chance to take some pictures. 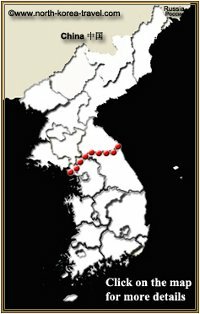 Victorious Fatherland Liberation War Museum (Korean War Museum) - the museum was re-located and is now much larger and shows more detailed information. You will be able to walk through "war scenes" and see planes, tanks and weapons used in the Korean War. Most significantly, you will be able to witness first hand how vivid the first armed conflict of the Cold War remains in the DPRK, something you will also perceive when at the DMZ. USS Pueblo - US spy ship captured in 1968, it is held as a trophy in the DPRK and shown to Koreans and foreigners. 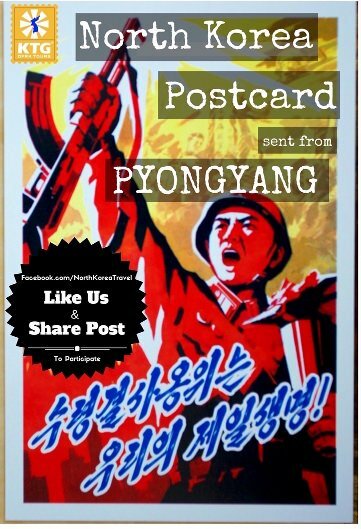 The ship was captured off the east coast of the DPRK and then shipped to Pyongyang. The US crew captured stayed in North Korea 11 months before being released. Grand People's Study House - see locals studying. Chance to join an English lecture if this is being held when we visit. 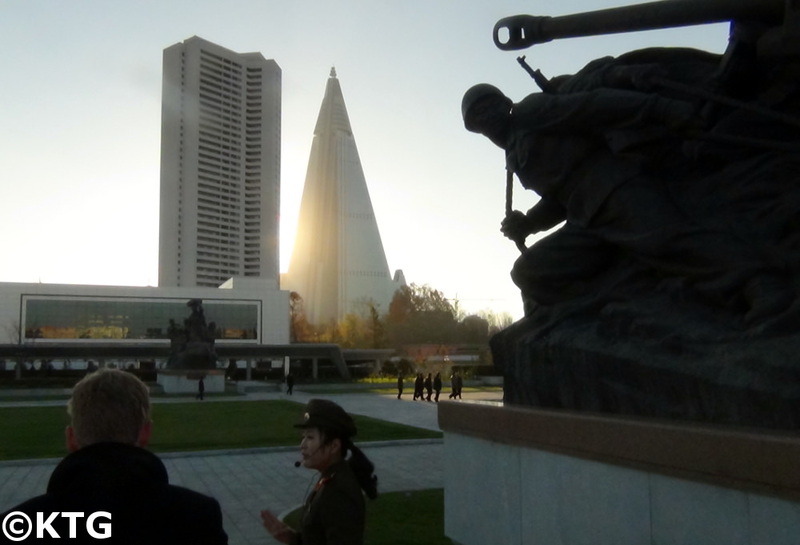 There are also truly great views of Kim Il Sung Square as the building is located just behind the point where the country's leaders view military parades (those that we see on TV). 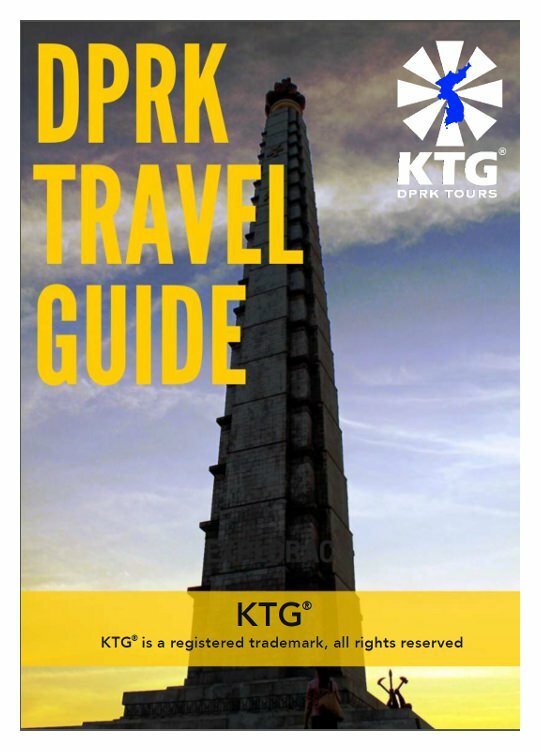 Please go to our North Korea Tourism page to see more information on other tours that we offer other than our North Korea November Tour I.